This is a non-firing full-size replica of M1928A1 Thompson Military Version used by the U.S. army. 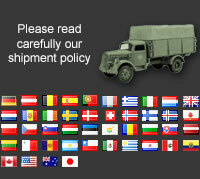 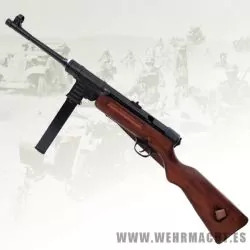 This would make a great addition to any collectors or reenactors. 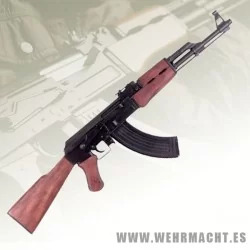 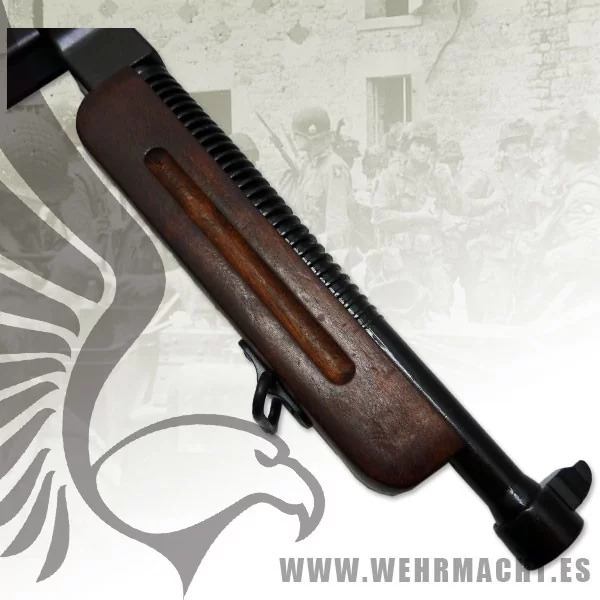 Like all Denix Weapons, this prop replica uses metal (except for the wood body), removable magazinne and contains movable parts and springs. 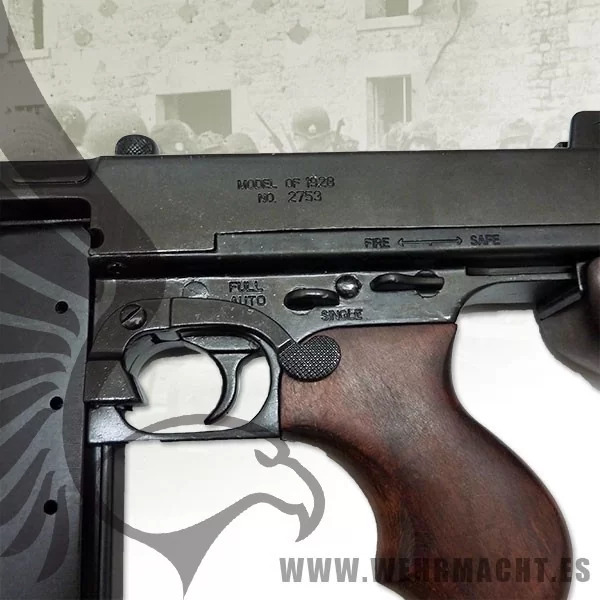 Made by Denix. 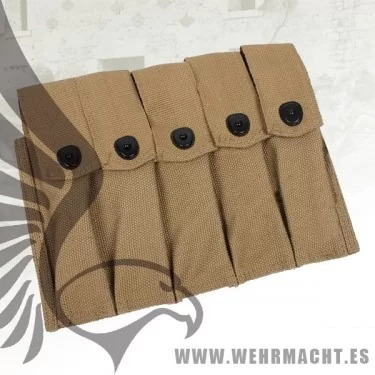 Reproduction of the 5 cell mag pouch. 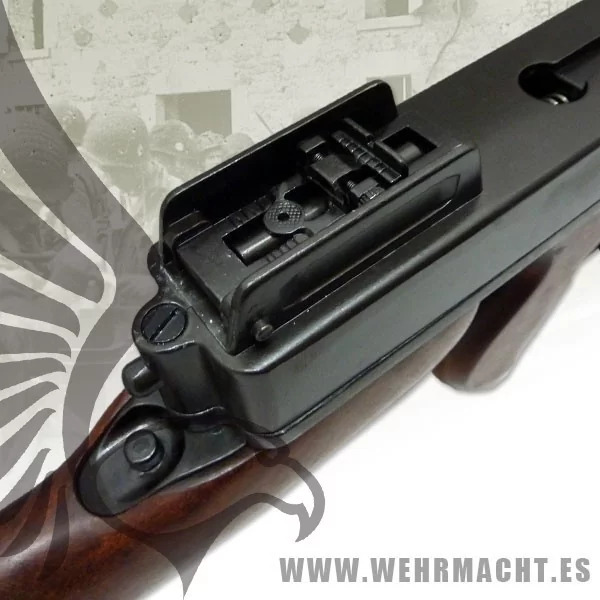 Fits 20rd Thompson SMG magazines. 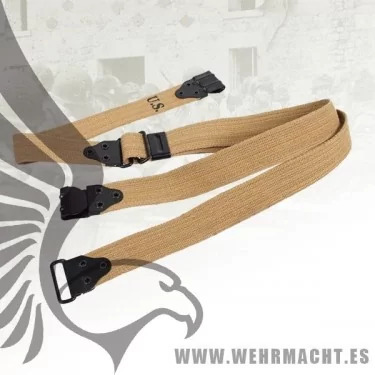 Replica canvas sling for Thompson M1928A1. 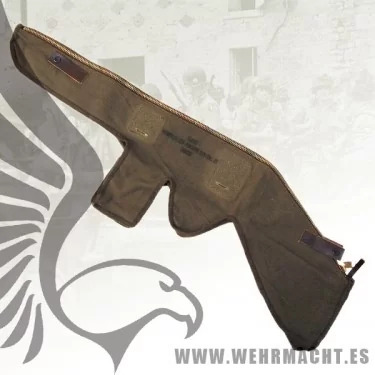 U.S. army canvas carrying bag for Thompson M1/M1A1. 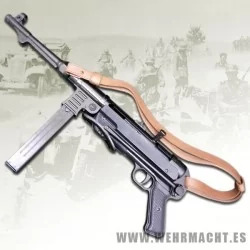 Thompson sling goes thorugh holes and with that it can be shouldered. 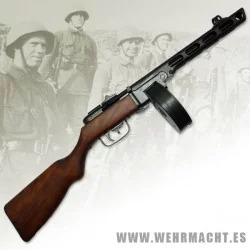 WWII reproduction. 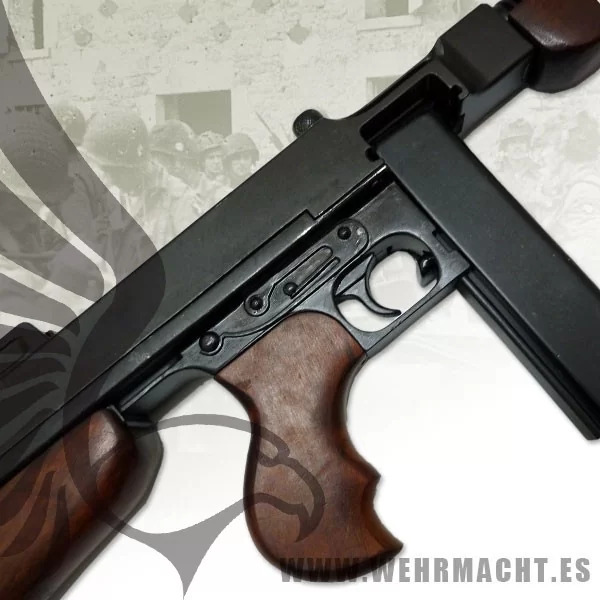 The Thompson is an American submachine gun, invented by John T. Thompson in 1919, that became infamous during the Prohibition era. 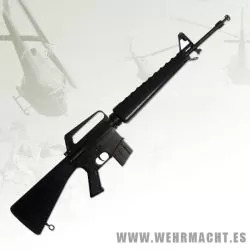 It was a common sight in the media of the time, being used by both law enforcement officers and criminals. 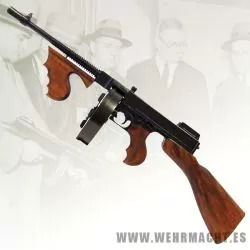 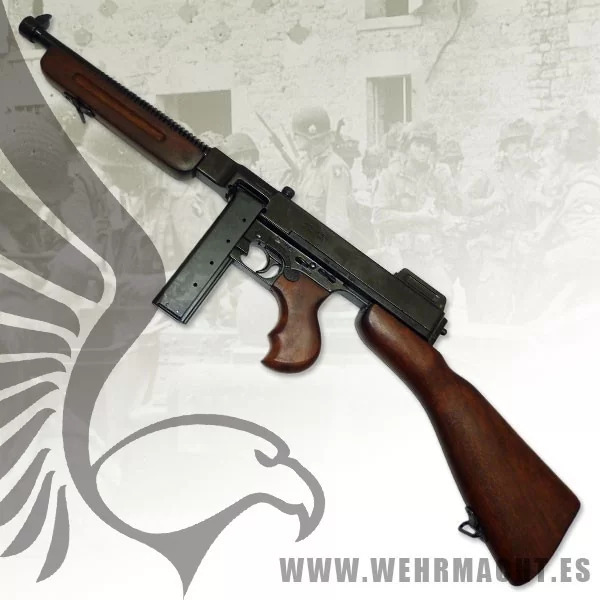 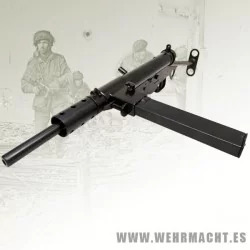 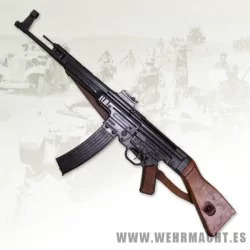 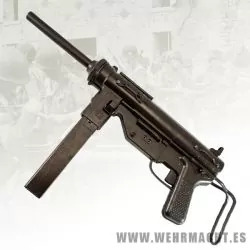 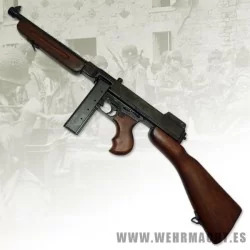 The Thompson was also known informally as: the "Tommy Gun", "Trench Broom", "Trench Sweeper", "Chicago Typewriter", "Chicago Piano", "Chicago Style", "Chicago Organ Grinder", and "The Chopper". 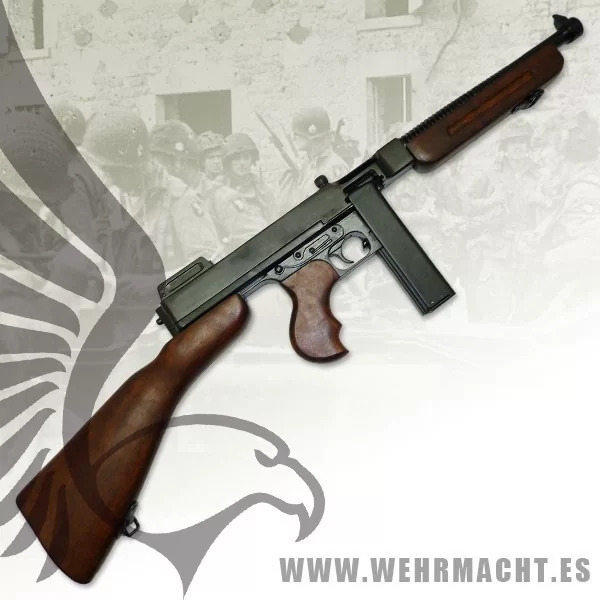 In 1938, the Thompson submachine gun was adopted by the U.S. military, serving during World War II and beyond.